You'd be hard-pressed to find someone who believes you should enter a marathon without an adequate training regimen. Without the proper preparation, you're going to cramp up. You'll get dehydrated. You're not going to know what to do when you have to go to the bathroom. You'd best start your training program now. Maybe a quick Game of Thrones marathon would be appropriate. You'll need that training, because AMC theaters are presenting a 59-hour Marvel marathon that ends with an early screening of Avengers: Endgame, which will officially be released April 26. The 22-film journey runs just seven minutes past the 59-hour mark, starting with Iron Man, the first film in the MCU. It then runs chronologically all the way up to Endgame, which carries a run-time of three hours itself. The announcement at the AMC site says the marathon will start at 10am on Tuesday, April 23. "This premium event will include marathon only collectibles, exclusive content, and a special concession offer. 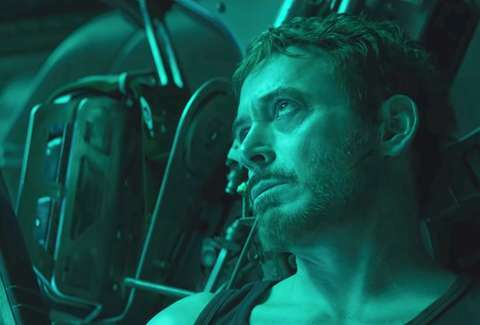 Plus, 'Avengers: Endgame' will start at 5pm local time, one hour earlier than regular public show times," it reads. Tickets aren't yet available, so it's not clear how much it'll cost. However, they have announced that it will only take place in three locations: Lincoln Square 13 in New York City, River East 21 in Chicago, and Metreon 16 in San Francisco. With the start and finish of the marathon announced, it sounds like this is legitimately going to be a non-stop event, opposed to starting to screen them intermittently throughout a couple-week period. But, there are surely people willing to take a couple of days off work and never leave a movie theater for the experience. Right? It's the next best thing to getting paid to watch Marvel movies.